A Sunday thought & quote. 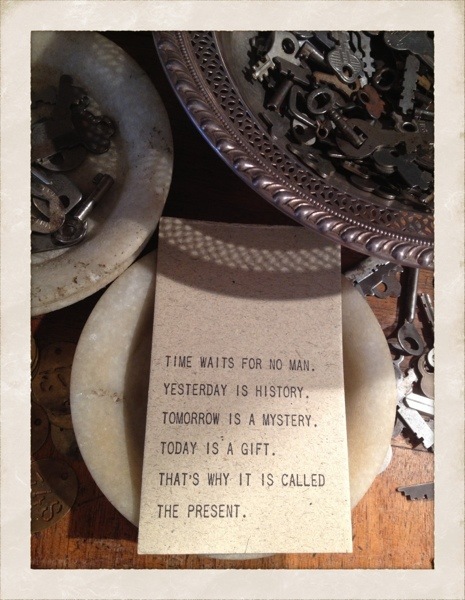 There really is no time quite like the present. Today is a gift. So very, very true. We are always here to assist you when it comes to your gift giving needs. 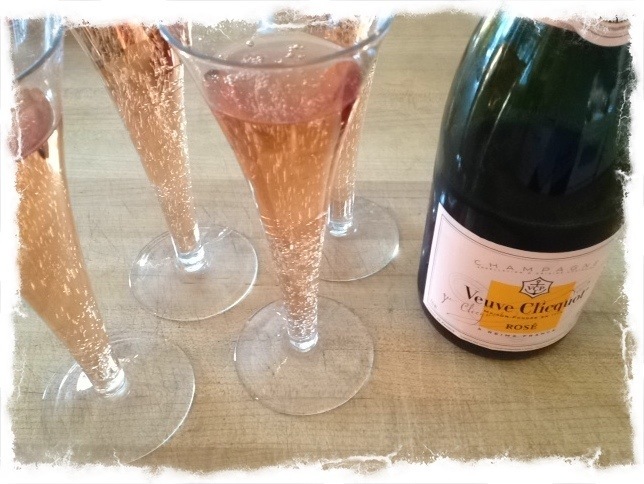 Whether it be a wedding (we are currently helping with spiffy guest gifts for nuptials in Palm Beach), a party, a dinner, or upcoming Holidays gifts–we can put together all sorts of fun options. It is hard to believe October is almost upon us, which means the Holidays are not far behind. 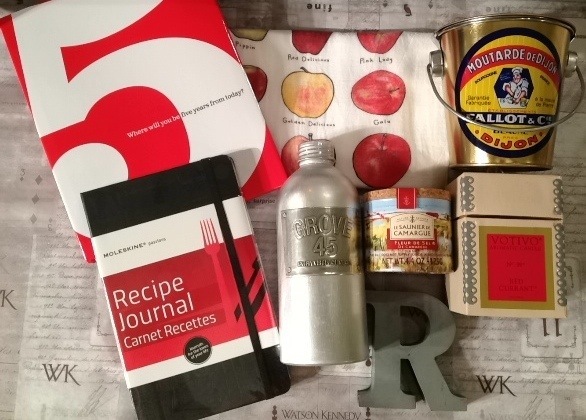 We have already started working with customers for their corporate & office gifts. 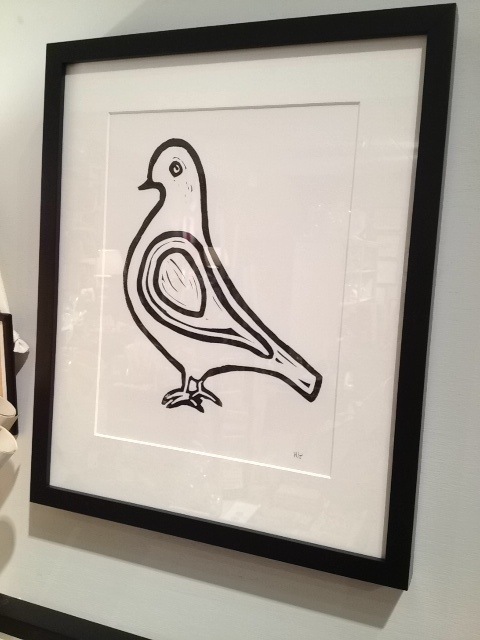 It is such a treat to walk around the shop choosing composed gifts. Each one can be different, or we can recreate multiples of the same gift assortment. If one can not make it to the shops, then a perusal of the website makes a great second option for putting together a grouping of delightful gifts. We can have Kelli, our shop calligrapher, do her magic on a card, and all will be wrapped in signature Watson Kennedy tissue. We are also happy to take care of all the shipping of the parcels. As I said above, keep us in mind, we are here to help you shine in the gift giving department. I am always looking for ways to stretch the visual impact of flowers. 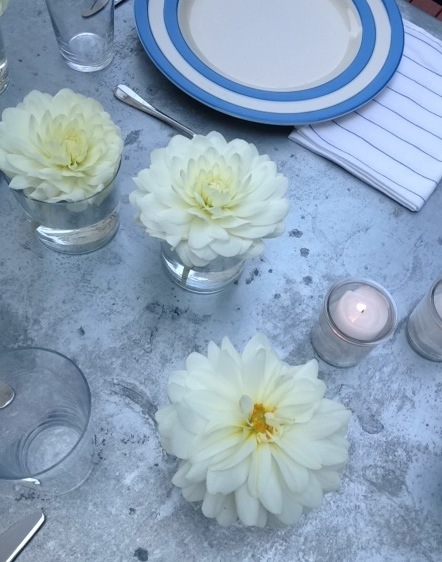 There was the sweetest bunch of a dozen white dahlias at the Market last week-end, and I really wanted to use them on the dining table for our Sunday supper with guests. By cutting the stems really short, and resting the head of the dahlia on the lip of the glass, it created a sort of floating effect. 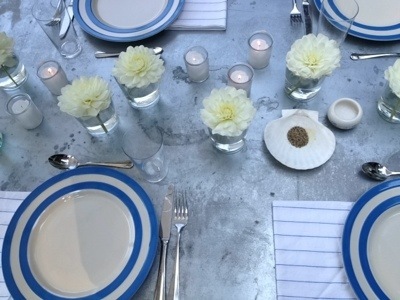 By marching the glasses in a random scattering down the table, the setting seems filled with blooms. 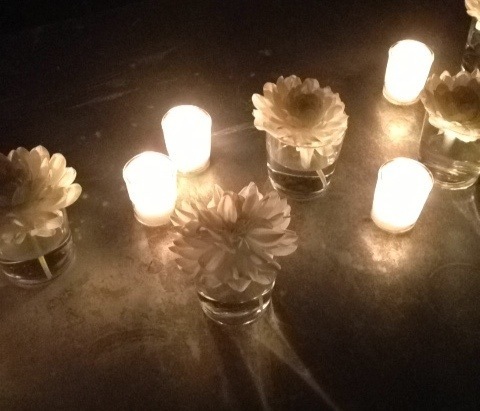 The clear votive candles would be placed randomly around the flowers to fill in a bit, and create a glow and flicker. All set. 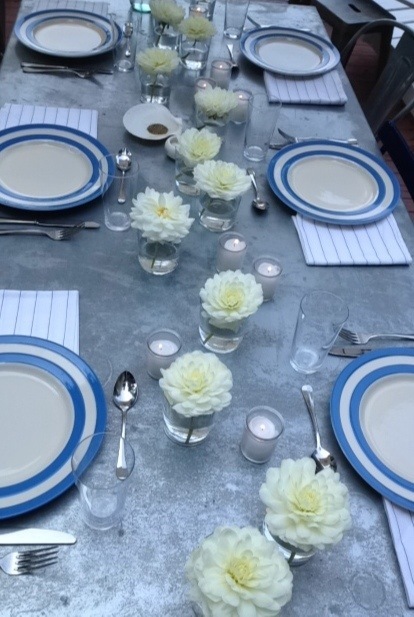 The simple bunch of white dahlias doing the trick as single stems in clear water glasses. 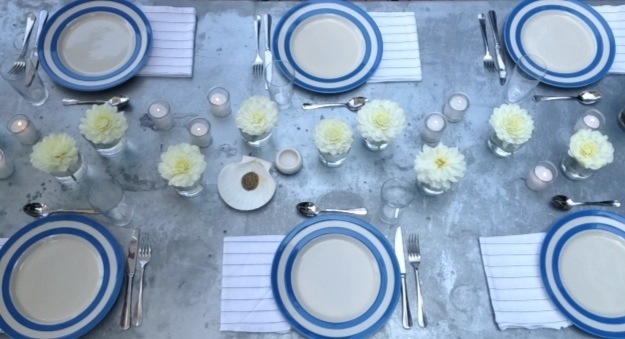 The glow against the zinc top table of the votives and the scattering of the flowers made for a magical night once the sun set and everything was cleared from the table. 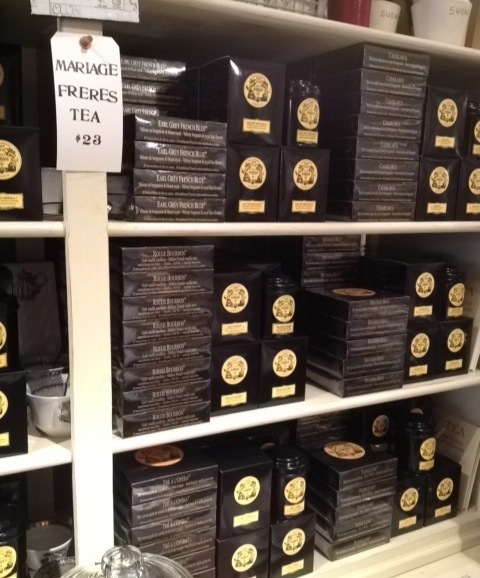 Our Mariage Frères Shipment Has Arrived! 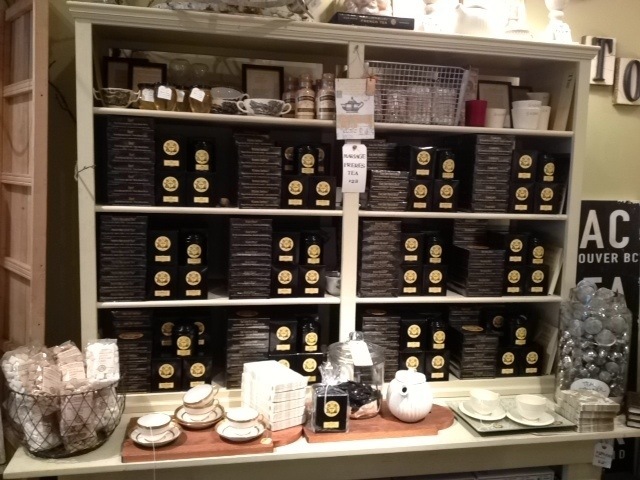 Our Fall/Holiday Mariage Frères shipment of 1100+ tins and boxes of muslin tea bags arrived yesterday from Paris. We were knee deep in shipping boxes, and the shop smelled heavenly. 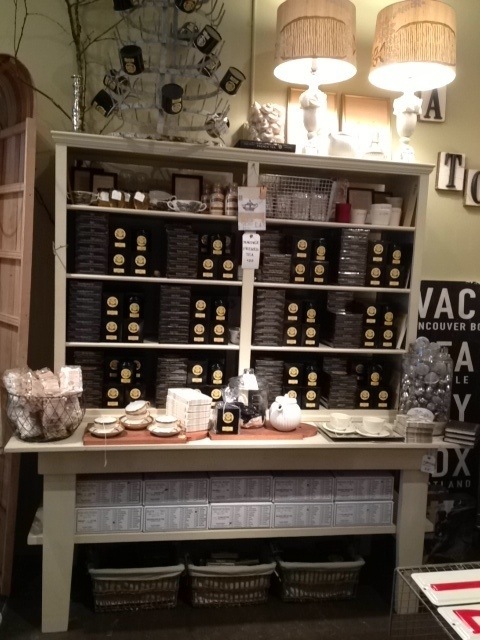 Pam priced every one of those boxes while I restocked and finessed the display. It was a fun day filled with tea. These make just the perfect gift. 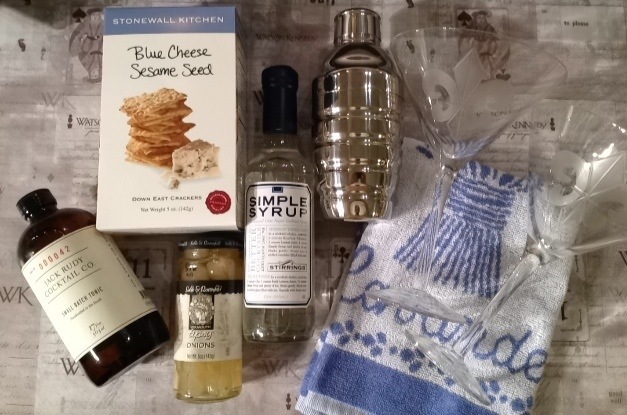 House Beautiful asked me a few Holidays ago, what was my favorite go-to gift. Without a second of hesitation, I said it was a tin of the tea. 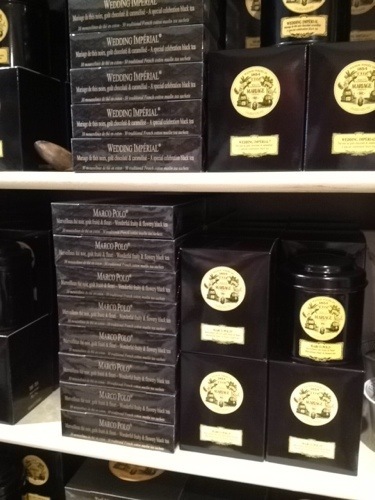 We carry 12 varieties, in both the iconic tin, as well as the boxes that are filled with 30 muslin tea bags. As well as sugar cubes, strainers, a variety of honey, and vintage tea cups. 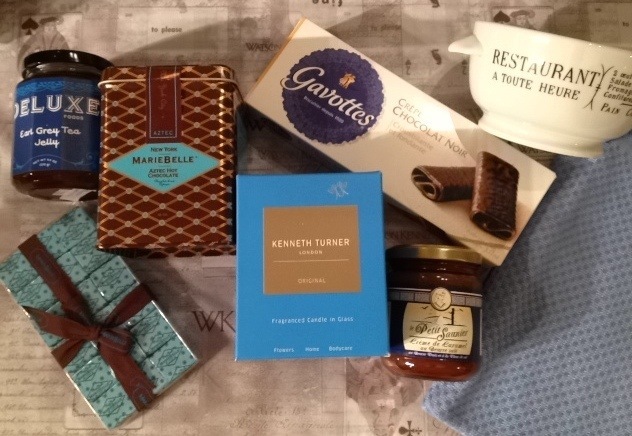 We ship daily around the globe, so keep these in mind for when you need a quick, easy & elegant gift. 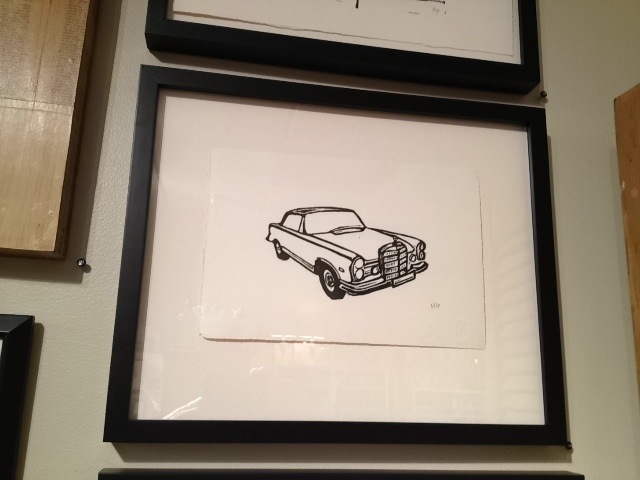 A new crop of Hugo Guinness linoleum cut prints have returned from our framer, and I am really loving the images. 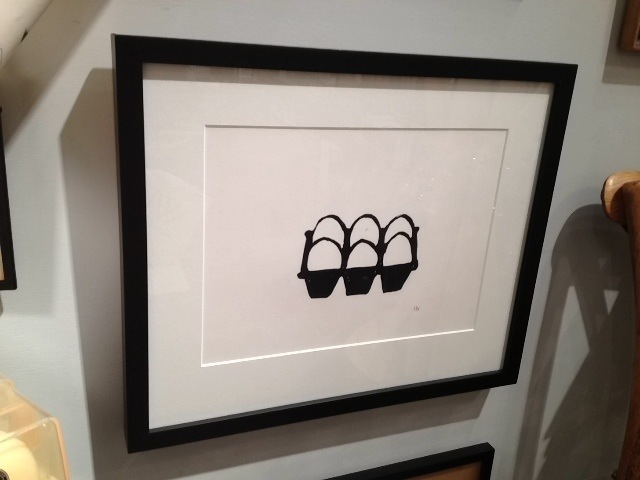 The eggs would be so fun in a kitchen or a restaurant. 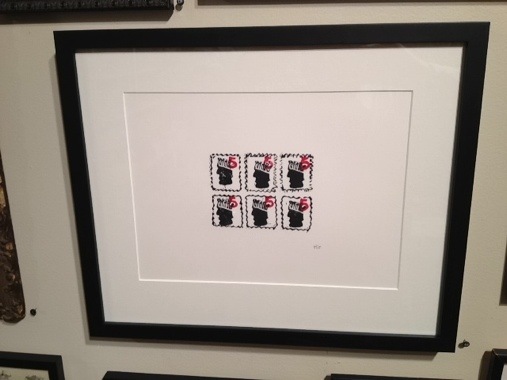 Hugo’s singular image work is so whimsical & stylish all rolled into one cool piece. Here is a look at some of my other favorites. The gift of food is always a winning & gracious gift. If you made or grew what you are presenting, even better. 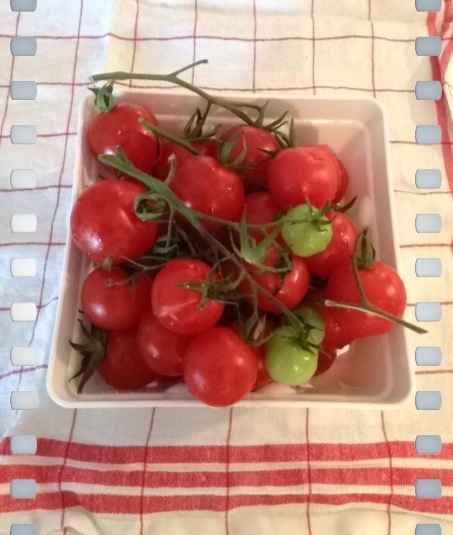 The above tomatoes were given to us yesterday by close friends, and were grown and picked by our godson, Magnus. That fact that he just turned 5 makes it all the more special. There is just something incredibly meaningful about giving something you have grown–like flowers, vegetables or fruit. Put in a cool container, it is a gift that will be remembered long after the tomatoes have been enjoyed. 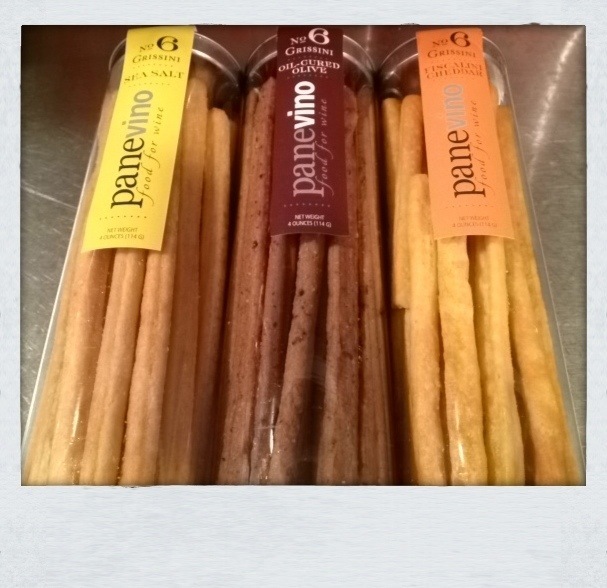 Our first shipment of Panevino Grissini (breadsticks) arrived the other day and it was quite hard not to break into one of each of these containers. OK, I did break into one. I was dying to try the Fiscalini Cheddar. They did not disappoint. At all. Actually, it was tough not eating the entire container. A little back story. When we were having our dinner a few Fridays ago with the owners of Grove 45 EVOO, they mentioned these amazing breadsticks that were such a hit down in Napa. We had not heard to them, so Bonnie & Nena, thank you so much for the introduction. David and Mimi Katz own a successful catering company in St. Helena. From what I gather, and I completely understand why, the breadsticks have always been a big hit, so they started packaging them and selling them to shops such as Watson Kennedy. 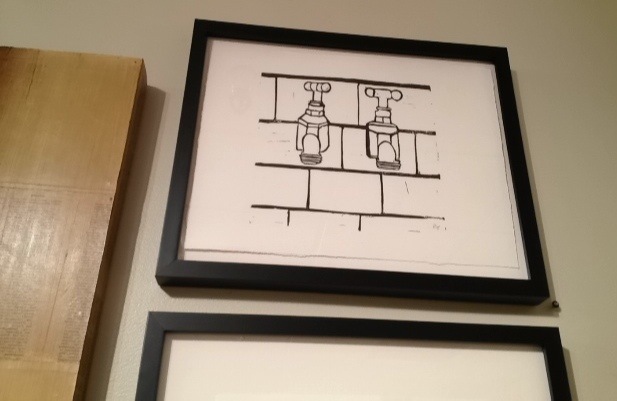 The idea is that they work quite splendidly paired with wine. 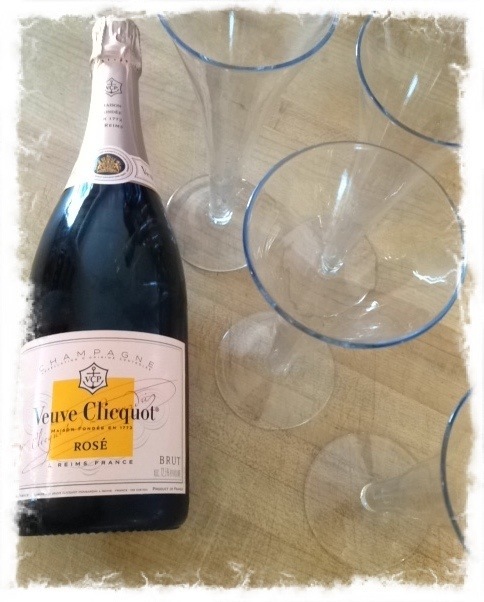 I can attest that they also work beautifully solo, or with a glass of Perrier. 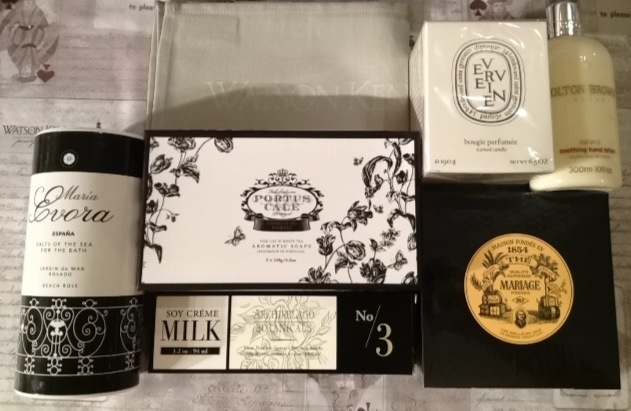 I am crazy about the packaging, as these will become just the perfect host/hostess gifts this Autumn and into the Holidays. 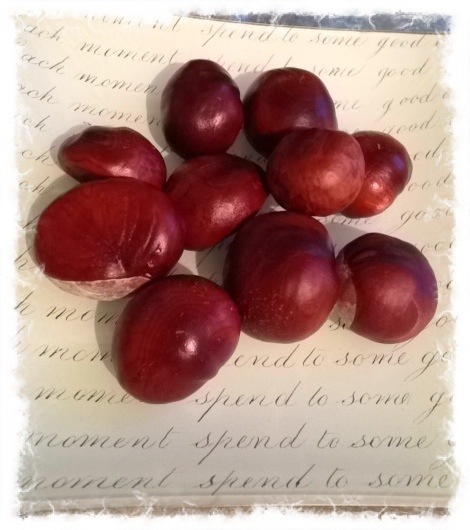 Like clockwork, the horse-chestnuts begin falling from the trees across from our building in the city, right as Autumn begins. I have collected a grouping (before the squirrels get to them) each year, since we moved back into our home at The Gainsborough almost 10 years ago. It is a tradition that signifies a new season is upon us. I would like to send a “Happy 90th BIRTHday” shout-out to my father-in-law, David Sive. We send much love to you on this milestone day. And, we watched the sweetest movie last night, The Best Exotic Marigold Hotel. If you have not seen it, put it on your list. What a special film. Cheers to all of you on this first day of Autumn! 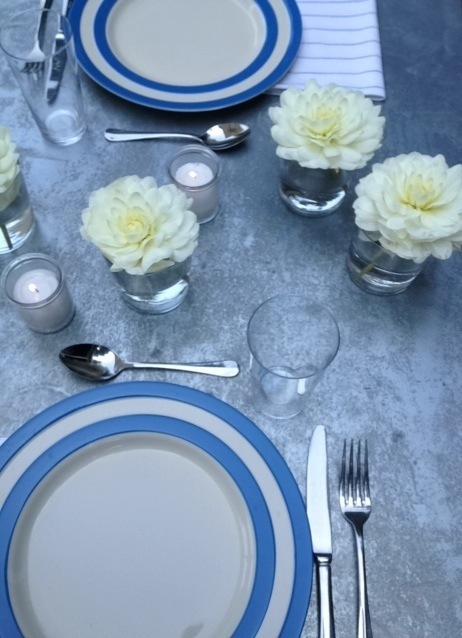 Our last table of the Summer season, and oh what a stunning end of season it has been. 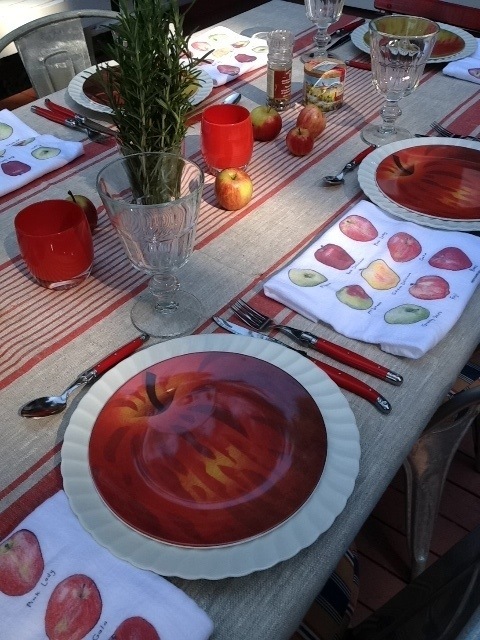 We had guests to the island for a Sunday supper, and with a nod to the season ahead, many of the farm stands had apples galore for sale. 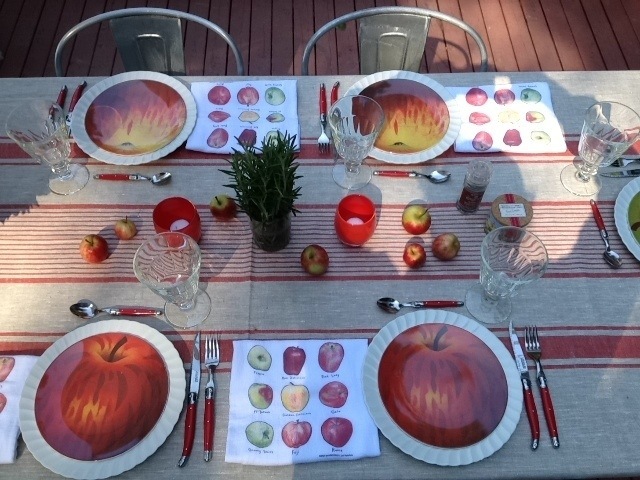 The small apples got my mind churning about how to set the table. 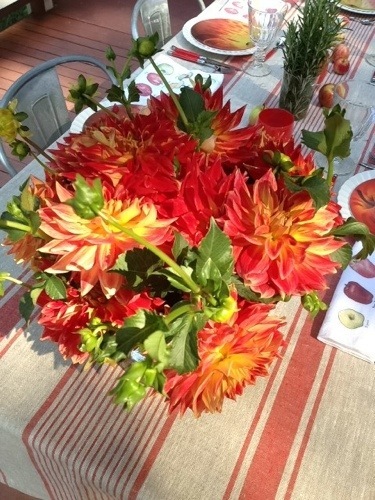 The glorious dahlias had made the trip in from town, and the color & combo of the 2 worked swimmingly together. 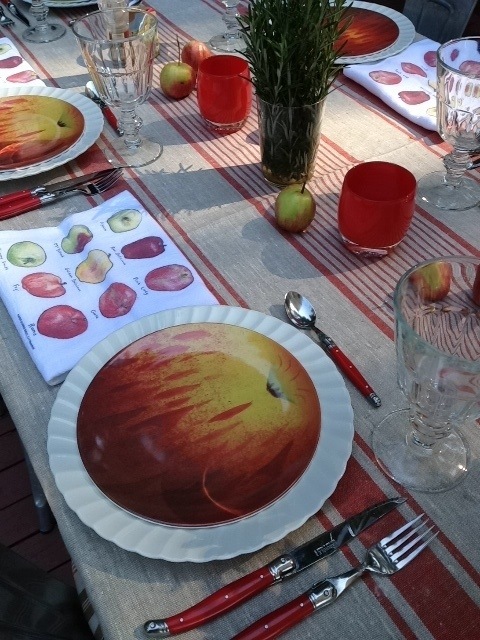 The apple John Derian plates along with the flour sack apple motif dish towels that would be the napkins continued the theme. The red handled Laguiole cutlery just always makes me happy when we get to use it. 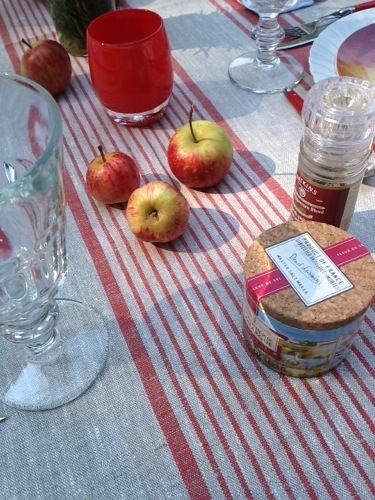 The red glassybaby and the salt and pepper lending to the red themed table. Those little red apples so sweet. A stall in the Market had these huge bunches of rosemary that looked fantastic, so that would add a little herby goodness to the table in a simple clear drinking glass. And those dahlias! Just a big bunch in a clear glass vase as not to compete with the flowers. They make me weepy they are so good. 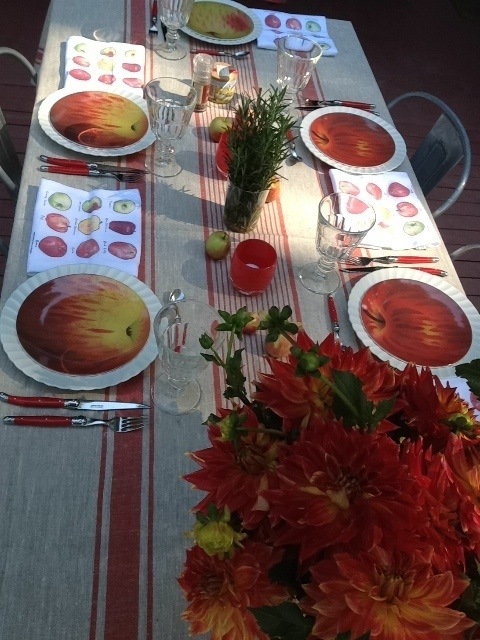 As the sun danced around in the late afternoon, the table was set. Ready for the last meal of a memorable Summer.